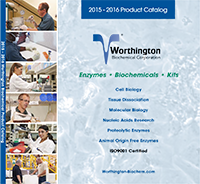 Mix and Match on the Entire Worthington Biochemical Catalogue! This promotion applies to over 500 high-quality biochemicals! Click here to browse all applicable antibodies and begin saving today!